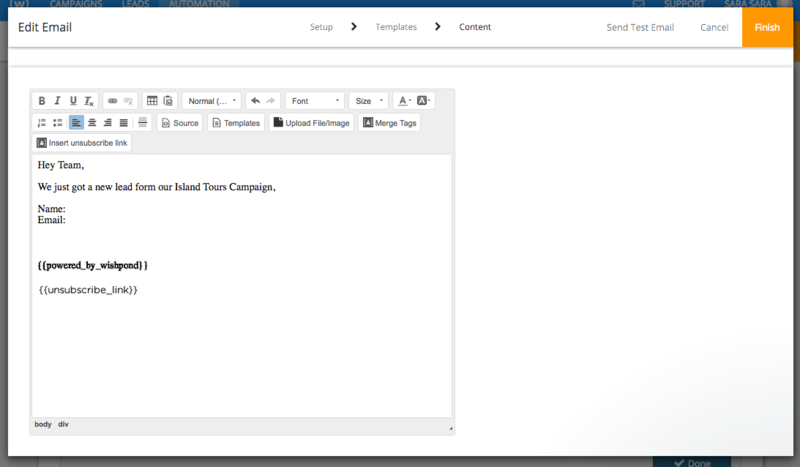 Email notifications are great to let you or your team know when people are converting on your campaigns. 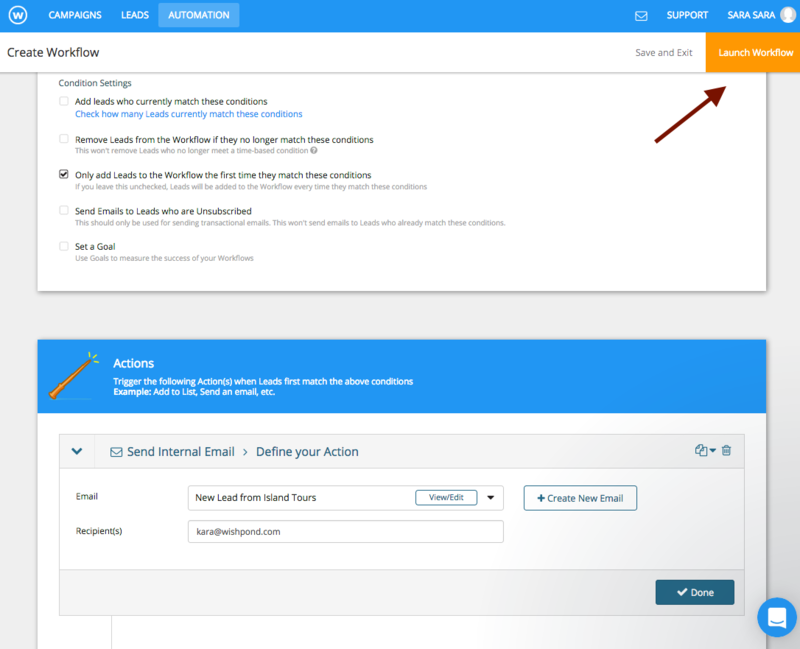 Here are the step-by-step instructions on how to setup an email notification. 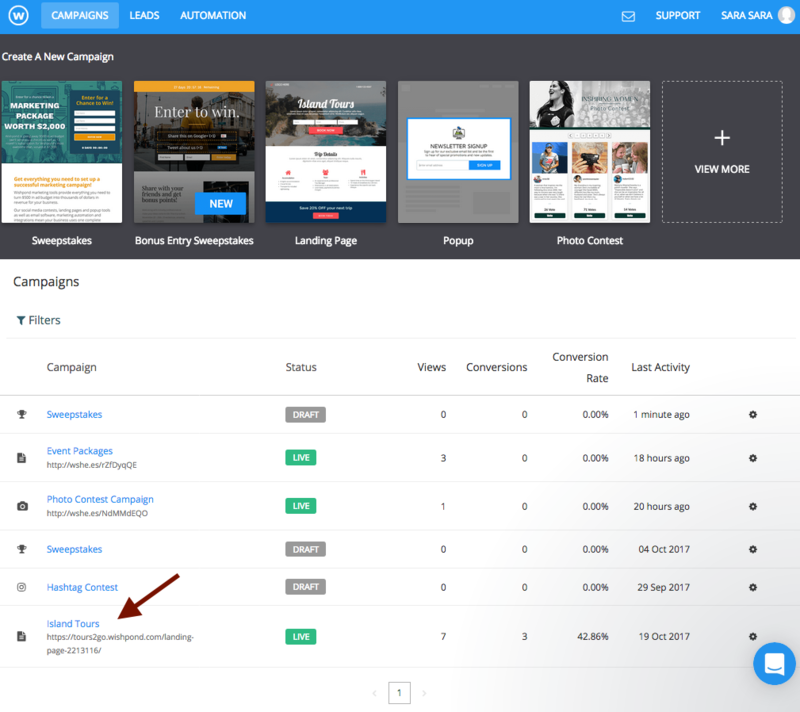 1) Decide which campaign you want to send your email notification from. 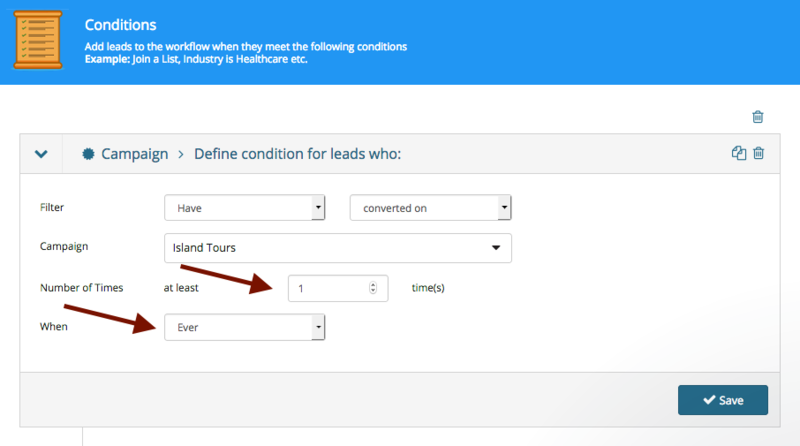 For this example, I’ll be setting it up based on my Island Tours campaign. 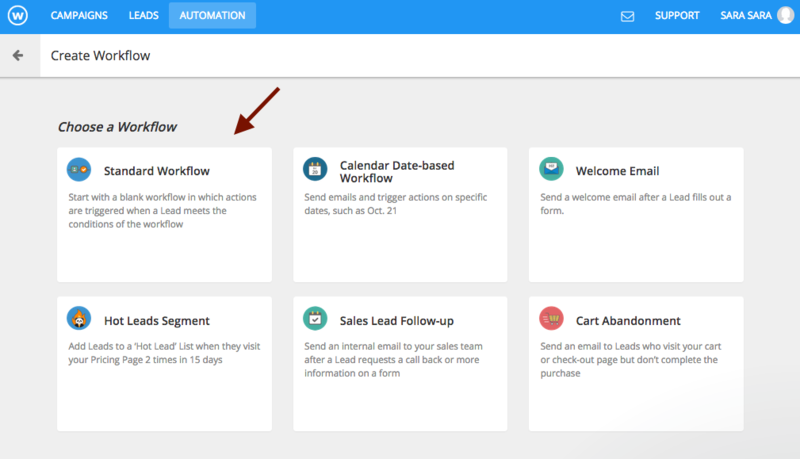 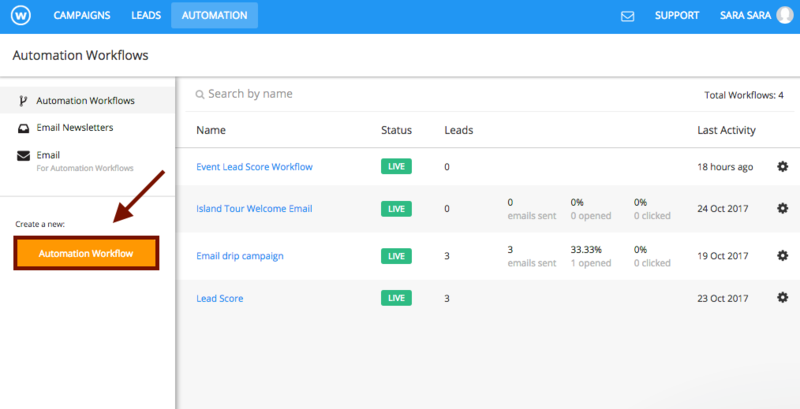 3) Once inside the Marketing Automation dashboard, click on “Automation Workflow” under the category “create a new”. 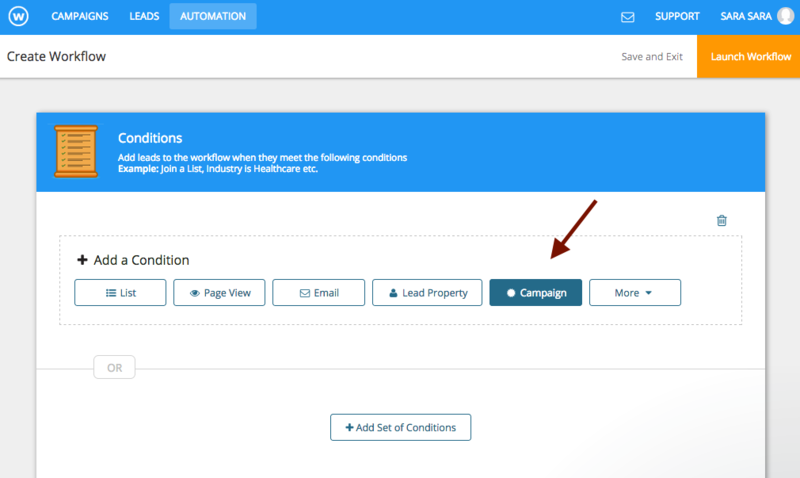 4) On Choose a Workflow, click "Standard Workflow"
6) Choose the campaign you want to set up notifications for, and set the frequency and number of times users need to complete the campaign in order to trigger the automated email (for most cases leave the default settings). 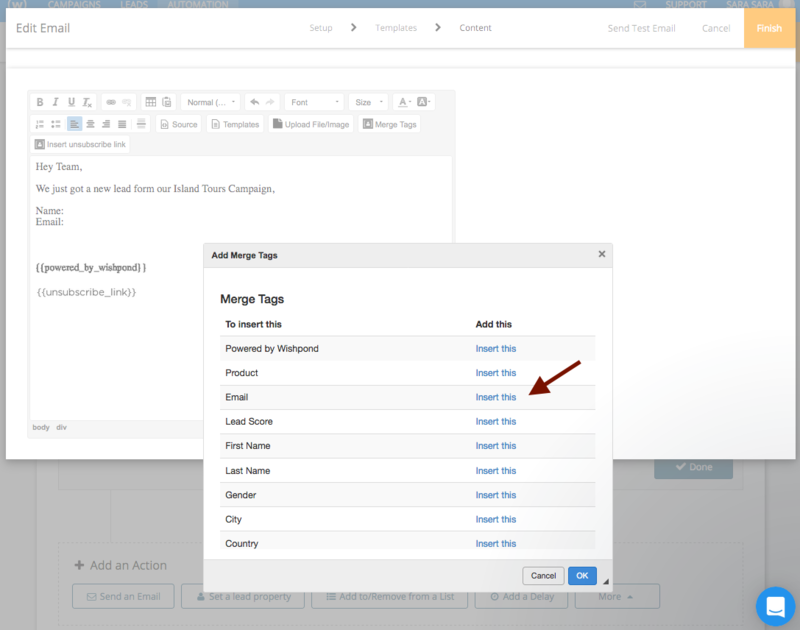 13) Click on “Merge Tags” to add in form fields that users entered on your form. 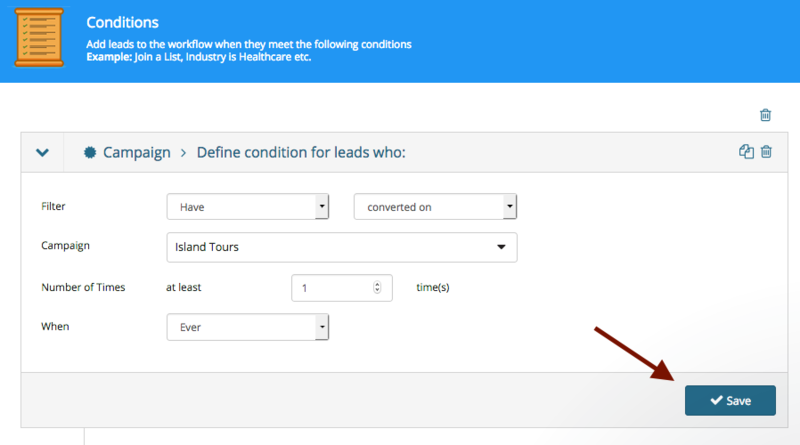 15) Repeat this step until all your fields are listed. 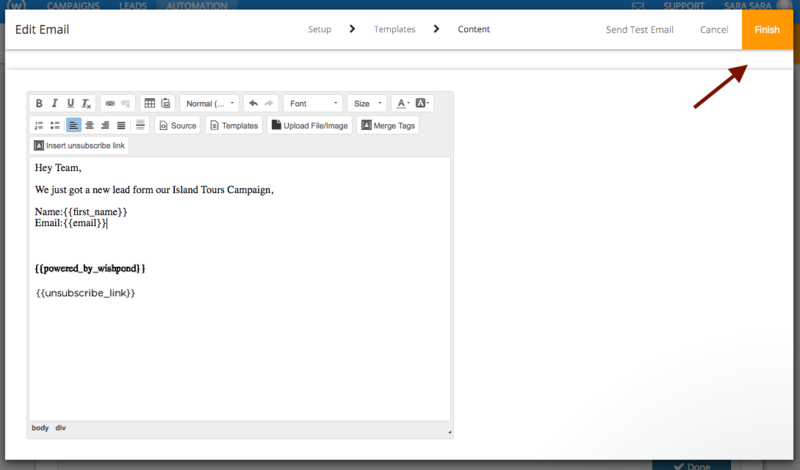 When you are finished, press “Finish” on the top right of the editor. 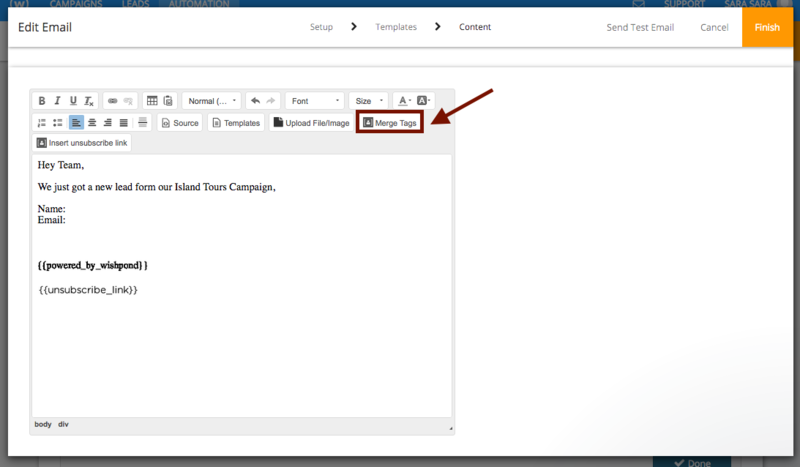 You have successfully set up an email notification for users converting on your popup campaigns!